I came across this Zorki 1b camera on Craig’s List. I knew nothing about the Zorki except that it was a Russian copy of the Leica II just like the earliest Canon rangefinders. I read up on the Zorki and became interested so I contacted Mike and arranged to see his camera. I found the camera to be a compact, solid and apparently well made rangefinder camera with a collapsible 50mm lens. I fell in love with it and arranged to buy it. 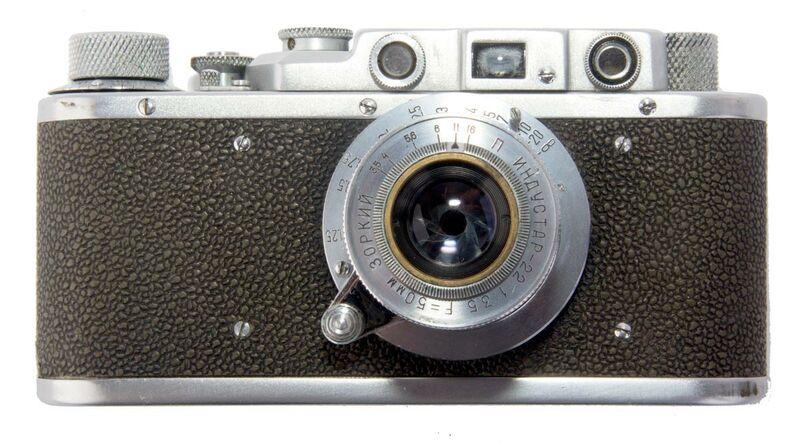 I have continued to read about Leica copies and have become quite interested in these early rangefinder film cameras. This is completely new territory for me and so some considerable history is in order. Krasnogorskiy zavod im. S.A. Zvereva is a Russian factory in Krasnogorsk near Moscow. During the Soviet period it was called simply Krasnogorsk Mechanical Works which was abbreviated as KMZ. This factory is known for its still and movie cameras as well as its production of optics for the Russian military. The plant is famous for its Zorki, Zenit and Krasnogorsk series of cameras. During the German invasion of the Soviet Union the Russian Army had need of optical equipment for everything from rifle scopes to tank viewfinders to binoculars but many of its factories were either overworked or destroyed. Another big factory, that of FED, had to be evacuated to escape advancing Wehrmacht forces and was producing little due to the disruption. 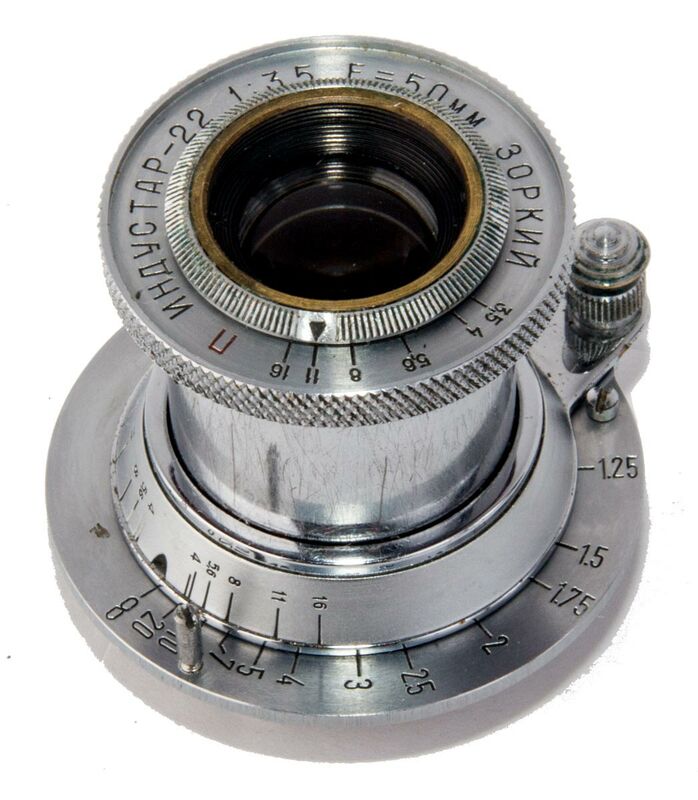 Out of this need, the Russian KMZ factory was set up in 1942 near Moscow and immediately began production of scopes, binoculars and reconnaissance cameras. This is my Industar-22 in its rigid incarnation. The iris is free and functions, however, there are no detents and so the iris ring is free to move. One more thing to think about when shooting film! It is very light and it appears that a lot of aluminium was used in its construction. A front view of my rigid Industar-22. The black face ring is painted and some of the paint has been chipped off. The glass is clear and bright, front and back. 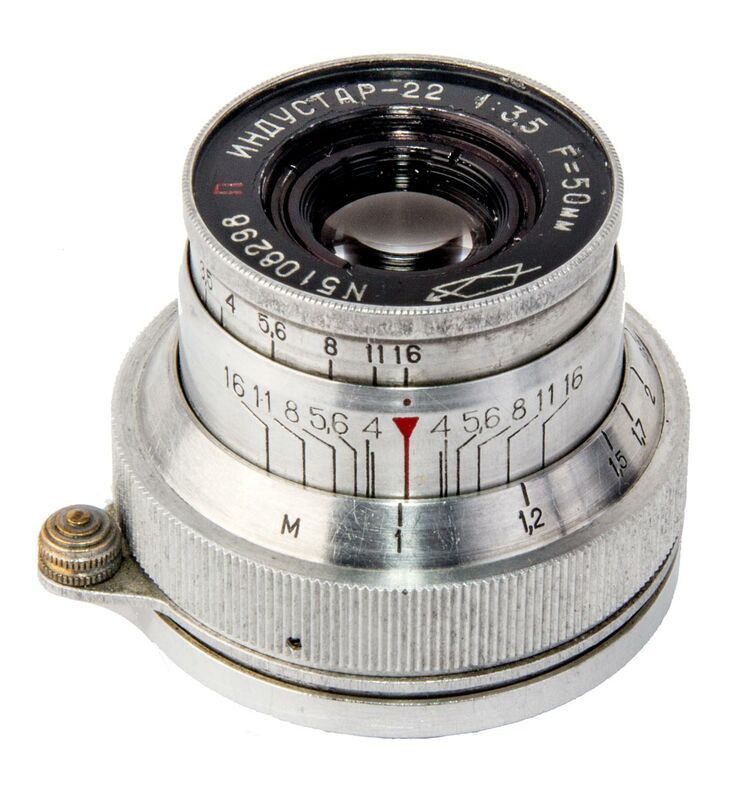 At the end of the war in 1945 the plant began production of lenses following designs of the Carl Zeiss corporation whose Jena factory was captured by the Red Army. Much of the actual Jena factory was taken to the KMZ facility. 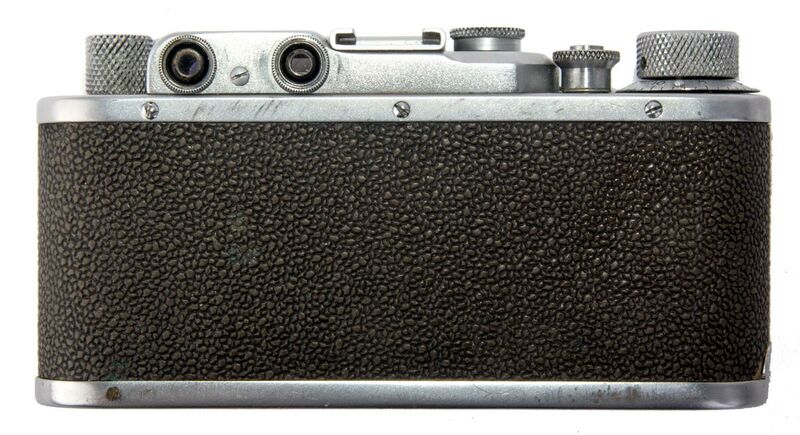 The FED factory had been producing copies of the Leica II since the 1930’s but the war ended that production and after the war FED had difficulty getting up and running again. It was arranged that FED and KMZ would produce their Leica copies in the KMZ plant. 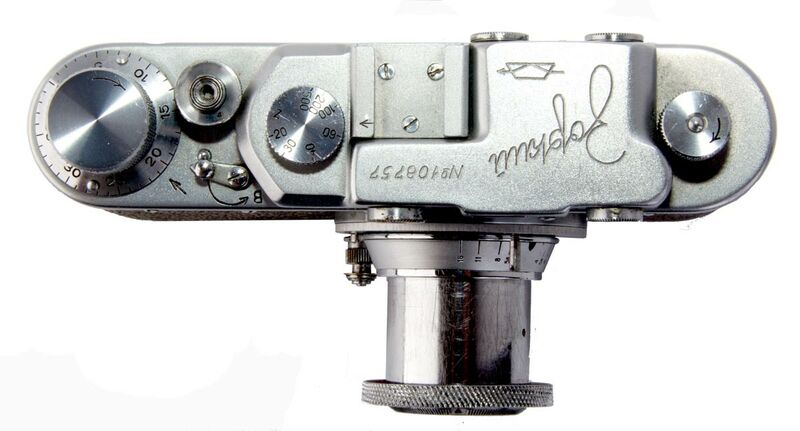 Cameras were produced with both names engraved on them which collectors have labeled “FED-Zorki” cameras. FED eventually got back on its feet and the collaboration ended. 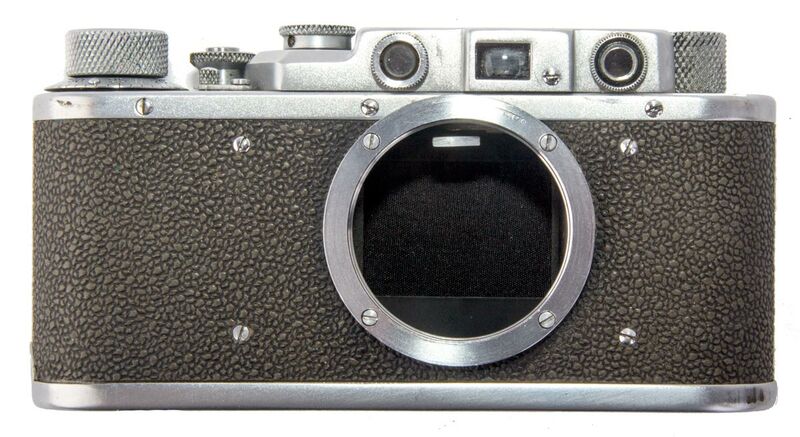 KMZ made a few changes to the design and began its own production of the Leica II under the name “Zorki”. 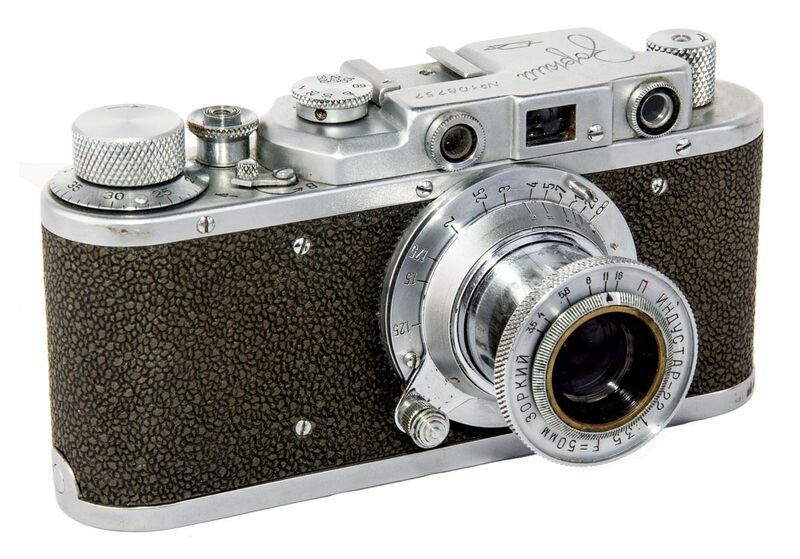 In 1952 KMZ created an SLR based on the Zorki cameras of the day and thus was born the Zenit camera. 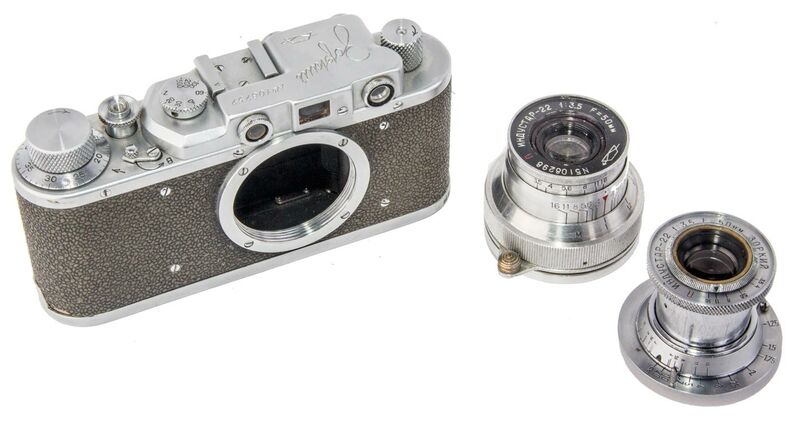 The Zorki cameras were immensely popular and truly huge numbers were made. Today they are found on the second hand market at easily affordable prices. So, back to the Zorki 1b. “Zorki” means “sharp sighted” in Russian. There was no official designation of “Zorki 1”. This was a designation collectors later used to identify first models of the Zorki. Originally it was just called the Zorki. The first model to be identified with a number was the Zorki 2. There were about a dozen cameras that were copies of or based on the Leica II which included early Canon rangefinders and the Minolta 35. Just the copies of the Leica would make a fine collection. When I bought this camera it came with an Industar-22 collapsable 50mm f/3.5 lens. I had many months earlier bought a rigid Industar-22 so I now have two lenses for this camera. Acquisition: 26 August 2016 on Craig’s List. Thank you Mike! This camera has some issues. 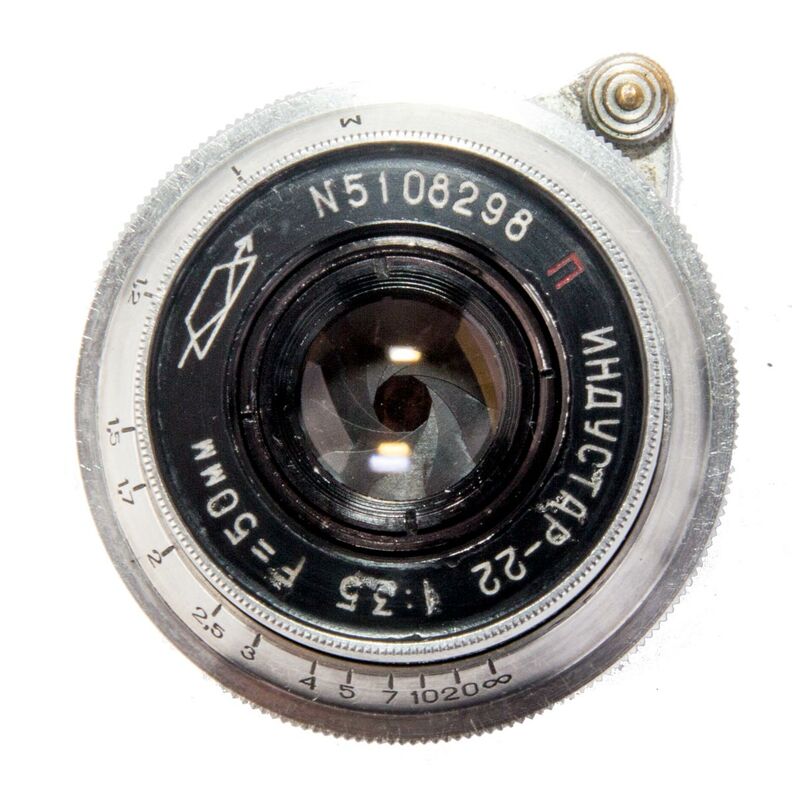 The iris in the collapsible Industar is frozen (Was frozen – I have since repaired the lens and used it. Check out the Camera Notes to read about the reapir and the day shooting with this lens.). Probably the lubricant has dried out. I suspect an easy fix. The range finder is also frozen. The cam that follows the lens travel is frozen. Again I suspect dried lubricant. I will take everything apart and clean it and report further on how I manage (I tried to fix the body but ran into trouble with frozen parts that prevented dissassembly. 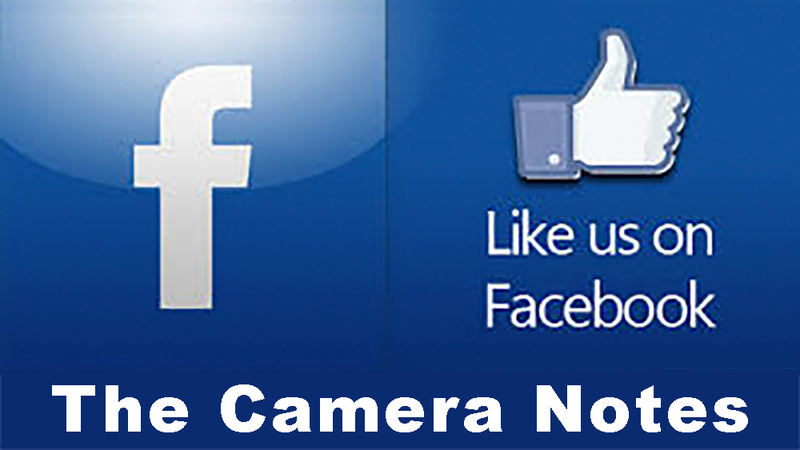 Rather than risk damaging the camera I gave up and I am content to display the camera. 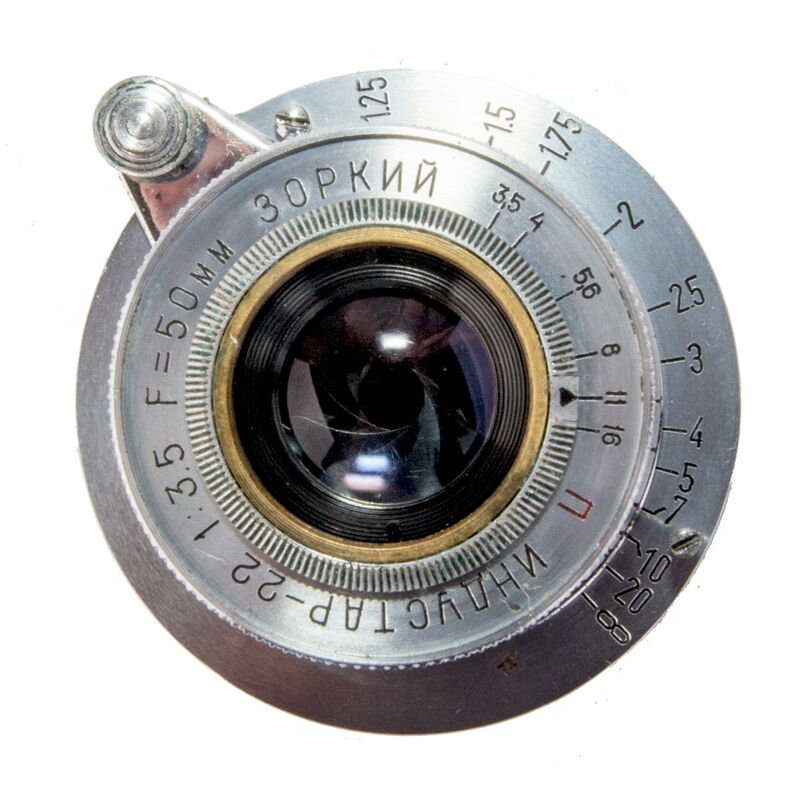 I can use my Russian lenses on my Canon rangefinders which I have done). The more I look at this camera and read about the history involved I am being drawn in. These are fascinating. The selection of different models available on E-bay is wonderful and not overly expensive. Once I have this one cleaned up I think I will get a few more. But first, some cleaning, more research, and a day out shooting film in this interesting little camera. Here is my Zorki 1b with the two Industar-22 lens I have for it. This is a neat camera and I am looking forward to finding out just how good a camera it is. I did notice that there are no attach points for a camera strap. In those days I guess everyone used the leather case and its strap. I have the case but it is old and the stitching is beginning to unravel. I don’t want to actually use it so I will have to come up with another solution.